Keep in mind that this is a question that’s coming from professionals that don’t currently have Ebola decontamination jobs, but are planning ahead in case they ever do receive one. I love clients that plan ahead on insurance issues. As it turns out, my clients would be fully insured if they went to work an Ebola decon job, due to the fact that their insurance coverage is structured between the General Liability policy and their Contractors Pollution Liability insurance policy to address biological contaminants work, starting with their Category 3 water work. By default, we hit the Ebola decon work nail on the head. It turns out that it is actually easier to get seamless insurance coverage for Ebola decon work than it is to get bacteria decontamination jobs covered seamlessly. However, it’s worth noting that most of the liability insurance packages sold to restorers in 2014 would likely not adequately cover biological contamination risks of any kind. In fact, there is a 90% chance that if you are a restorer reading this that you are not insured the right way to be working on bio-remediation’s of fungi/mold/bacteria/viruses or, by default, Category 3 water because of the bacteria it contains. There are number of reasons that this is the case. For instance, your insurance company may not know you perform bio-hazard remediation work, including Category 3 water. They would not insure you if told them that your Category 3 water work had a bio-hazard component to it. 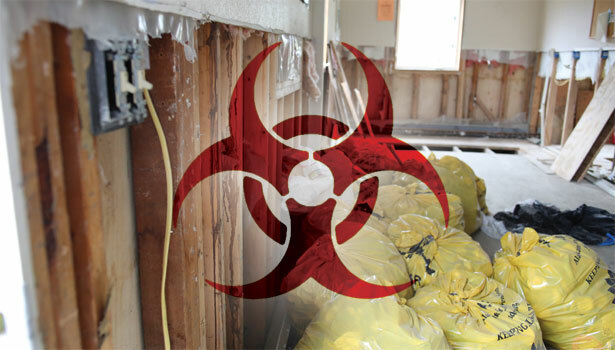 Bio-hazard remediation contractors are taboo in the majority of insurance companies. In fact, most of the insurance vendors who sell insurance policies to restoration firms have never heard of Category 3 water, which explains why so many restorers are insured by insurance companies that think they do not insure bio-hazard remediation contractors.